Well this one was right up my alley and so it will be to anyone with a sweet tooth for instrumental progressive and jazzy metal. 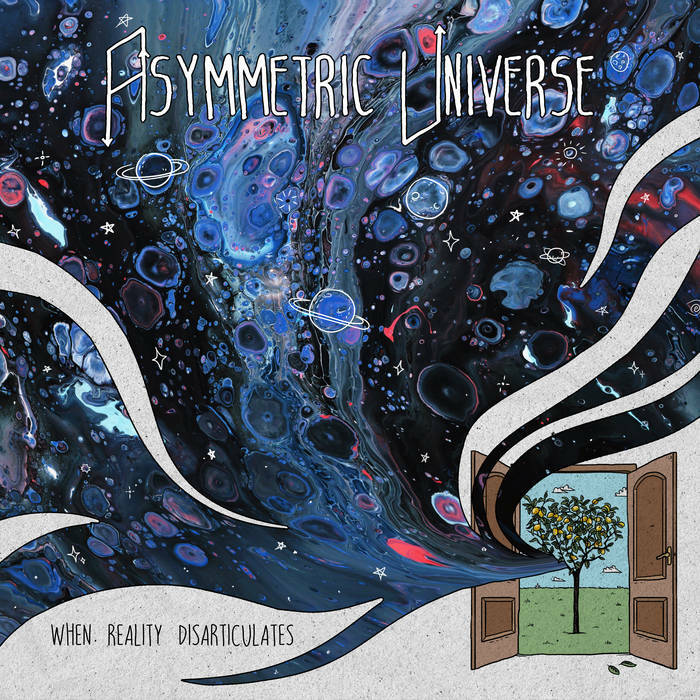 We’re talking about a shameless invasion of Plini and Animals as Leaders’ territory on Asymmetric Universe’s debut EP titled ‘When Reality Disarticulates’. This Italian band was formed in 2018 and this is their first release, entirely brought to life through their own efforts. From a soft string orchestral introduction, they leap straight into the Plini-like trademark mix of jazzy licks and leads with playful bass and groovy drumming. This EP is even more jazz oriented then the aforementioned artist’s style and also a tad more progressive on the riffing. At some points and especially on the third track, the band goes full on fusion instrumental almost entirely losing the metal aspects of the recipe. However, despite the strong jazz/experimental influence the big picture is not short of brilliantly creative and precisely executed grooves, slipping steadily towards Animals as Leaders’ style of chops and rhythmic ideas. Especially the bass brings the ripped apart slapping sections in full swing. The perpetual guitar leads are the center piece of the music and are skillfully built to match the progressive rhythm patterns. Some repetitive sections in the leads also have me thinking of Angel Vivaldi’s shredding fluent playing style. Aside from leads and grooves, ‘When Reality Disarticulates’ also benefits from an atmospheric element that plays a fine line between orchestral and electronic sounds. To wrap things up, the last track showcases a guest trumpet solo towards the end placing the cherry on top of the cake before a smooth clean ending. Overall this EP is as joyful as a slobbering dog chasing a frisbee into a bush. I think this band has a lot of potential in the future and I highly recommend this release if any of the artists that I used to describe their sound rings a positive bell to you. I was hoping for a bit more originality but there is a lot of time for that on any future releases and the execution is impeccable. Now I think it would be wise for whomever is reading to disarticulate your reality for the next twenty minutes and join the Italian groove preachers through their short but sweet instrumental story. This entry was posted in Bands, Djent, Progressive Metal, Reviews and tagged 8.5/10, Angel Vivaldi, Animals as Leaders, EP, experimental, fusion, instrumental, Intervals, Jazz, Plini, progressive.